*O.J. Simpson is serving more than 30 years in prison after being convicted of armed robbery with a deadly weapon and kidnapping in 2008. The former NFL star and actor gained a lot of weight while in prison (over 300 pounds) and is facing many health issues, according to Inquisitr. Simpson has been using a cane to get around in Lovelock Correctional Center near Reno, Nev. Reportedly, he complained to another inmate about not receiving the level of medical attention he can afford and deserves. 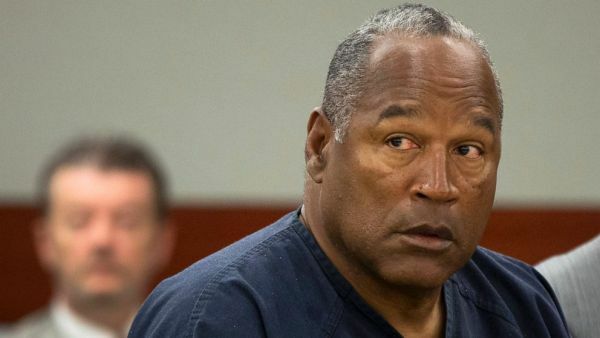 According to friend and former manager Norman Pardo, Simpson said he “doesn’t think he’s leaving [prison] until he’s dead,” Radar Online reported. “If anybody says he’s walking funny, it would a diabetic problem, which could set off that infection inside of him,” he said. Simpson had two knee replacement surgeries before prison, “but the procedure was complicated by a bone infection,” said Pardo. He continued with he “was on massive antibiotics to get rid of it,” but it didn’t heal. Guess he thought he’d be treated like “The Juice” in the big house. Bummer.